Catalysts are substances used to control the production of chemicals by changing how fast reactions occur. The most familiar type to most people is the catalytic converter used to clean car exhausts, but most things made by industry use a catalyst at some point in their production. In 1998 it was estimated that catalysts contributed around 15 trillion dollars to the world economy – about a third of the total. Nature also has its own form of catalysts in enzymes, which control the chemical reactions necessary for life. Because catalysts are so important, there is a lot of interest in how they work, which can be very different depending on their circumstances. Currently, catalysts are mostly optimized for reactions through trial and error, but it would be ideal if we could design catalysts tailored to their use. This would reduce energy bills, give better products and reduce waste. Molecules can only react when they are close to each other and in the right orientation. Many catalysts work by attracting reactants and sticking them to their surfaces. This process is called adsorption. It is similar to absorption but differs because the molecules stay at the surface, rather than penetrating deep inside the material. In this way the adsorbed molecules are concentrated at the surface and are more likely to be close to each other, making reactions more likely. The bonding between reactant and catalyst can also affect the chemical bond strengths within the reacting molecules and lower the energy barriers for reactions. This interaction is not well understood, so any new information is of interest. Because there may only be a layer as thick as one molecule on the catalyst surface it can be difficult to measure. One method we can use is quasielastic neutron scattering, which measures small changes in the kinetic energy of neutrons that scatter from our sample. Neutrons interact weakly with metal, but strongly with hydrogen so we can see any hydrogen-containing molecules stuck on a metal catalyst surface. This is similar to medical x-rays, where the beam goes through the flesh, but bones show up. Neutron beams go through a metal catalyst, but the surface hydrogen-containing layer shows up. Neutrons scatter differently from hydrogen if it is moving or if it is still and so we can use them to get information about the motion of adsorbed molecules. A recent experiment has looked at the motion of benzene and cyclohexane on a nickel catalyst using neutron scattering and computational modeling. It found that at low temperatures the molecule is rigidly held against the metal surface, with very little motion. As the temperature is increased, it jumps around on the surface but remains stuck. At higher temperatures, the distance between the molecule and the catalyst increases and the molecule moves around more. It can get enough energy to break away from the surface, and the computer models suggest that the molecules can move over each other making short-lived stacks of molecules on the surface of the catalyst. Using simulation and experiment together gives a better picture of these processes and should help in the interpretation of future results using more complicated systems. Due to the highly penetrating nature of neutrons, these experiments may also be extended to more extreme conditions that are challenging to study using other techniques. 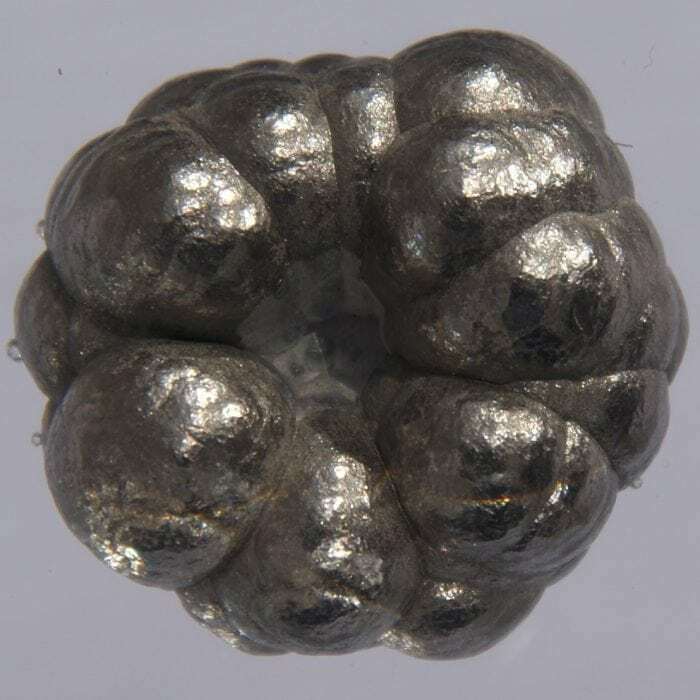 These findings are described in the article entitled Surface diffusion of cyclic hydrocarbons on nickel, recently published in the journal Surface Science. This work was conducted by I.P. Silverwood and J. Armstrong from the ISIS Neutron and Muon Facility. I joined ISIS as an instrument scientist on the backscattering instruments in 2015. IRIS and OSIRIS provide high resolution spectroscopic measurement of low energy transitions so can measure the rate and geometry of molecular motion. My research mainly deals with diffusion of organic material in zeolites and other materials. After a Ph.D. at Edinburgh developing operando IR techniques to investigate microwave-heated catalysis, I began using neutrons in my first postdoc to characterise catalyst systems in 2007. This used inelastic scattering as a vibrational probe to complement IR and Raman in the investigation of catalyst deactivation through coking. Due to their highly absorbing nature, optical techniques are problematic with these materials. After another postdoc using in situ IR at Imperial College, I joined the UK Catalysis Hub at UCL to pursue neutron characterisation techniques for catalytic systems. This was based in the Research Complex at Harwell, and led to me using quasielastic and elastic neutron scattering measurements in addition to vibrational measurements in the inelastic energy range. I aim to develop and support catalytic science, as well as fundamental and applied science on the quasielastic instruments and beyond. I am particularly interested in the development of novel equipment to develop in situ and operando measurement techniques to ensure data collection from catalytically relevant samples.